Jet FLix, LLC is a new, locally owned DVD rental kiosk business in Hawaii. 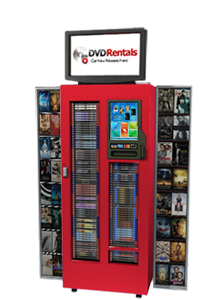 We provide, manage, and operate automated DVD rental terminals. Jet Flix kiosks provide today's busy consumer with a simple, easy, convenient, and affordable way to rent movies. DVD rental kiosks are simple to use like ATM or vending machines. We are the conveniently entertaining video store in your grocery store. Rent new releases for just $1.50 per night! Price may vary for outer island locations. Come and rent a DVD from your nearest Jet Flix kiosk!